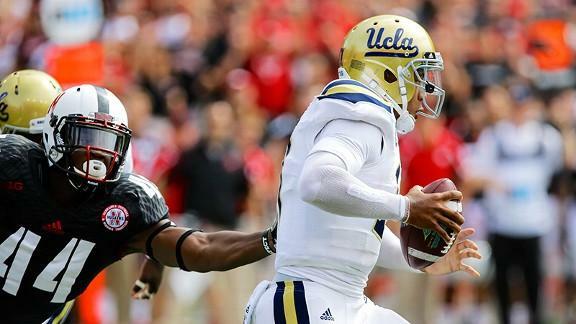 On Monday morning, Nebraska football was licking its wounds from the weekend’s second-half meltdown at home against UCLA. Those wounds were inflicted on the field. 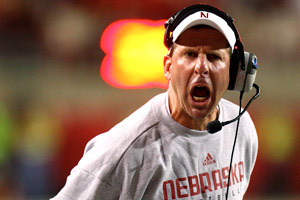 A few more may have been administered off the field by now official lightning-rod head coach Bo Pelini. Pelini may be right about the program needing to ignore comments such as those, although doing so when they come from one of the best players in program history in such a manner…well…let’s just say it doesn’t add to the good feeling Pelini wants around his program but can’t seem to muster because the Huskers can’t get to the next level. And that’s where the next Pelini blast comes into the picture. If Bo Pelini wanted to bring wavering Husker fans back to the fold, there is no way that will happen now. None. 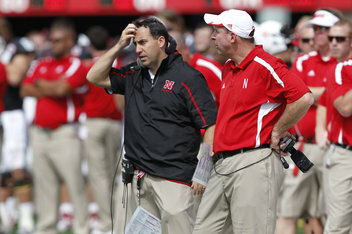 Not with the Huskers seemingly clueless on both sides of the ball, players and coaches. And not with the head coach torching the bridge to the program’s fandom in such a spectacular fashion. The F-bomb fiasco aside, what galls me — and what may enrage other Husker fans, once they come to hear the full clip — is the egotism displayed at the end of the sound bite. In effect, Husker fans will see what they are missing when they drive me away. Trouble is, we can see what the Pelini era hath wrought. It resembles the rudderless hubris of the disastrous Bill Callahan era. Athletic Director Shawn Eichorst hasn’t said how he plans to handle this Pelini-fed grass fire as I write this. But you can’t imagine Eichorst will simply stop with a meeting in his office. The clock was already ticking on Pelini’s tenure at the University of Nebraska, and ticking quite loudly after Saturday. This is not the way to set anybody at ease on how this season will end.